Exactly 15 years ago, on March 1994, Linux kernel version 1.0.0 was humbly released for the world to tinker with. To celebrate the historic moment, I have collected some really interesting facts about the Linux kernel. So if you are a Linux fan, grab a beer and read on. 2. An asteroid was named after the creator of the Linux kernel. 3. Thousands of developers/programmers scattered all around the world are continuously contributing to the development of the Linux kernel. 4. 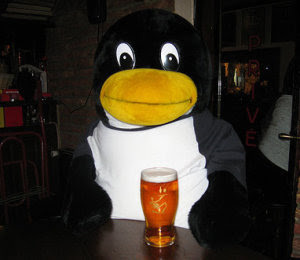 The Linux kernel's official mascot is a penguin named Tux. 5. According to a study funded by the European Union, the estimated cost to redevelop the most recent kernel versions would be at $1.14 billion USD. 6. As of today, only 2% of the Linux kernel has been written by Linus Torvalds. 7. The Linux kernel is written in the version of the C programming language. 8. Linux is now one of the most widely ported operating system kernels, running on a diverse range of systems from handheld computers to mainframe servers. 9. Linux kernel 1.0.0 was released with 176,250 lines of code. The latest Linux kernel has over 10 million lines of code. 10. Microsoft Windows and the Linux kernel can run simultaneously in parallel on the same machine using a software called Cooperative Linux (coLinux). 11. At first, Torvalds wanted to call the kernel he developed Freax (a combination of "free", "freak", and the letter X to indicate that it is a Unix-like system), but his friend Ari Lemmke, who administered the FTP server where the kernel was first hosted for downloading, named Torvalds' directory linux. 12. A guy name William Della Croce, Jr. trademarked the name Linux and eventually demanded royalties for its use. He later agreed to assign the trademark to Torvalds. 13. The Linux kernel can be found on more than 87% of systems on the world's Top 500 supercomputers. 14. A "vanilla kernel" is not an ice cream flavor but an unmodified version of the Linux kernel. Whoa... are you stipulating that the University of Helsinki and _not_ Linus created the Linux kernel? I'd love to see your research on that topic. That's "college" in the American sense of the word: i.e., university. Even so, "grad student" rather than "college student" would be a better colloquial American English descripition of Linus at the time when he introduced his first kernel. Points 5 and 6 - does that mean Linus' own code contribution is worth USD $22.8 million? ($1.52 million/year)? "Fact 7" seems to be an incomplete sentence. The Linux kernel is written in a version of C compatible with GCC, the GNU C Compiler, with time critical sections written in low level code, or assembler, for the target architecture.